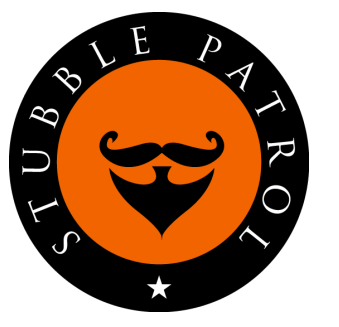 StubblePatrol.com’s, main goal to provide the best quality content on beards, moustaches, and personal grooming for men. Having the top information on grooming products will educate our readers in their pursuit to enhance their male beauty and to deal with their personal grooming demands. We do this by providing lots of informational articles, and reviews of products that will bring out the winner and in each and every one of our readers. Our readers deserve the best help possible and that it what we will provide. Also, to assist our readers, we also will work hard to provide detailed guides. Who are we exactly and why should you even begin to trust us? My name is Aron James and I am the founder of StubblePatrol.com. I am one of those men that is obsessed with gentlemen grooming and aesthetics. I have been reviewing and testing countless male grooming products, especially those pertaining to beard care. From time to time. other male writers will be adding valuable beard-related, and male grooming articles to this site. In the future, I plan on developing my own high quality products for male grooming, and I will work non-stop to ensure that this happens. The more tests and reviews that I complete will highlight the gaps in male grooming technology that currently exist. My promise to you is that I will remove that gap. Nevertheless, for now, by visiting often, you will learn from my site. The many guides on StubblePatrol.com have been well-researched to guarantee accuracy. Some products that I review may link out to Amazon since I am a participant in the Amazon Services LCC Associate Program. This connection to Amazon does not increase the price of the product in any way. Nevertheless, I will receive a small commission directly from the Amazon program. If you have any questions or you are interested in advertising with StubblePatrol.com, feel free to contact me via aron@thestubblepatrol.com .